Downer works to foster a diverse and inclusive workplace that facilitates opportunity and respect. Our focus on gender and cultural inclusiveness is active and ongoing, and through various initiatives we aim to help close the gap between indigenous and non-indigenous communities. View Downer's Diversity & Inclusiveness policy and click here to look at our diversity reports. A group of Aboriginal people from the Pilbara has gained life-changing skills and the chance to earn valuable experience working on the City of Karratha’s City Centre revitalisation project which is being delivered by Downer and LandCorp. Alwi Drummond, Tytus Hunter, Denise Hubert and Bevan Wally were recently awarded their Certificate III in Civil Construction and a Downer worksite accreditation during a ceremony at the Pilbara Institute in Karratha. This outcome has resulted from a commitment made through an Aboriginal Participation Plan (APP) established by Downer and LandCorp. The four trainees will now complete onsite work experience in the coming months and two will have the opportunity to gain full-time employment with Downer. LandCorp and Downer will assist the remaining two trainees in finding potential work opportunities with local contractors. 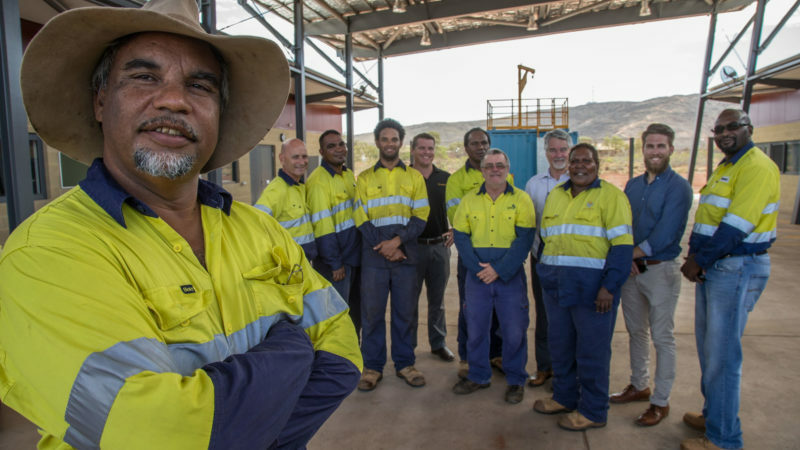 Downer construction manager Andrew Mapfumo (pictured far right with the trainees and representatives from LandCorp and the Pilbara Institute) said the Aboriginal Participation Program was a success. “The trainees can be proud of the commitment they have demonstrated to attain new work skills and hands-on experience, along with the inspiration they have provided to their work colleagues and the broader community,” he said. LandCorp Chief Executive Frank Marra said the trainees should be congratulated for their “tremendous” achievements. “The participants are now equipped with the necessary skills — including forklift and power tool operation, first aid, workplace communication and fatigue management — that will allow them to safely and confidently work on civil construction sites,” he said. 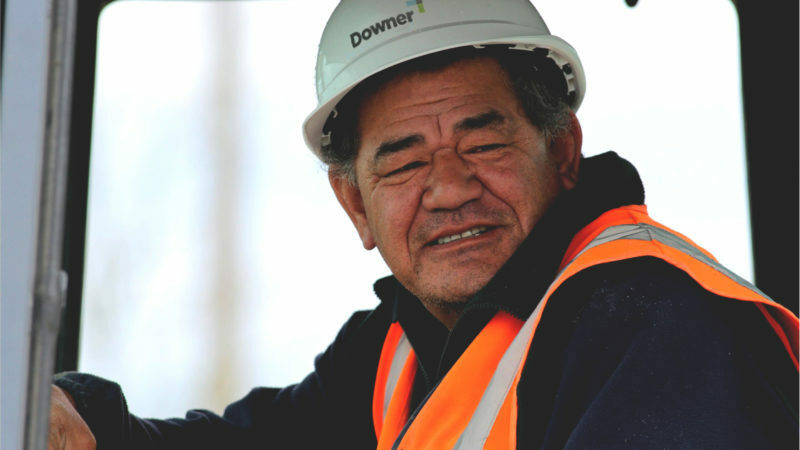 Downer’s Māori leadership program, supported with funding from Te Puni Kōkiri, has involved employees, funders, customers and iwi (community) and is an important milestone for Downer’s relationships with Tangata Whenua (the people of the land). The program consists of three, two day workshops held throughout the year. The first two day session brings together the group, providing an opportunity for networking, mentoring and working together. The second two day session focuses on personal leadership styles and understand how to engage with others. The final two day session focuses on presentation skill training and application for the future – considering ways our Māori Leaders can act as role models in the business. Our work to increase female participation in the mining industry has been recognised in rather an unusual way. 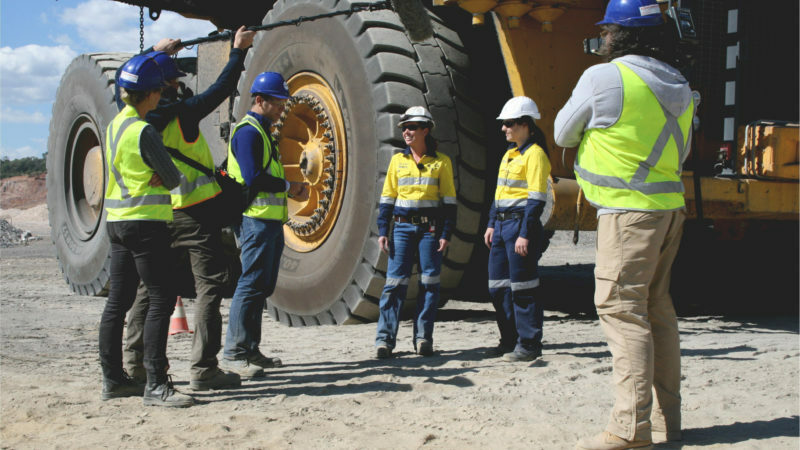 Recently, we were approached by German television broadcaster Zweites Deutches Fernsehen (ZDF) who wanted to film a segment on women in mining, which apparently is unheard of in many European countries. Brooke knew from a young age that she wanted to work with big trucks. Growing up on her family’s farm, she was used to being around big machines. After spending many years working for her family’s contract mowing business, Brooke moved to Kingaroy and began work at an accountancy firm, working her way up from a junior office clerk to the Personal Assistant to the company’s CEO. In 2008, Brooke’s husband Shane, a diesel fitter, moved to Western Australia (WA) to get into the mining industry. After six months, Brooke followed him over and began to pursue her own career in the mining industry as an operator. Brooke started her mining career with Fortescue Metals Group (FMG) at one of its iron ore mines in WA. Brooke underwent the intense two-week training course in Perth before being flown to site. Brooke remained with FMG for four-and-half years before she and her husband relocated back to Kingaroy and beginning her career at Meandu Mine in 2012. Brooke is keen to continue improving her skills as an operator and learn to operate other pieces of machinery at the Meandu site, becoming what she calls an “all-rounder” operator. When she’s not at work, Brooke’s world revolves around horses. She lives on a 278 acre farm on the outskirts of Kingaroy. Brooke encourages women to pursue work in the mining industry. She says that she has seen the industry go through many changes during the past ten years and women shouldn’t been intimidated to work at a mine site. “Be prepared to work hard, don’t give up, and be willing to listen and learn. Ellen Brown is a Downer Traffic Services Supervisor in Whangarei. Following a conversation that started during a Māori Leadership Programme session, she organised Te reo Māori lessons for 23 of the Whangarei team through Te Wānanga o Aotearoa. 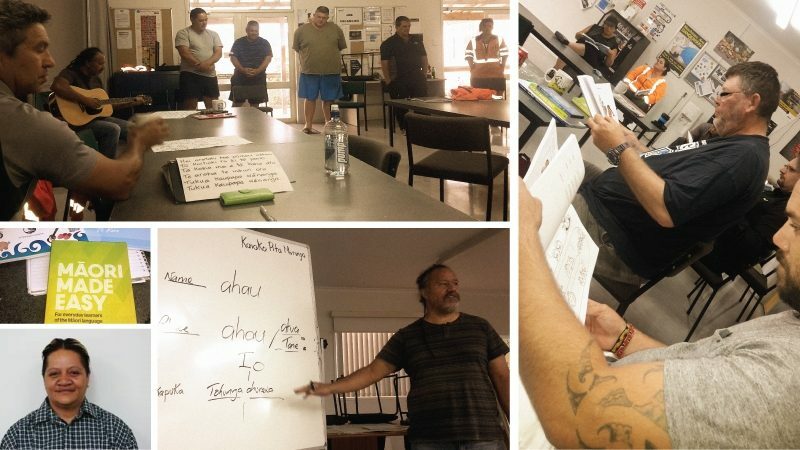 "It started when four of us were on the drive home from the Māori Leadership programme, we were talking about what we wanted, and we wanted to learn, and it came out that the three guys all wanted to learn how to speak Māori. They are of Māori descent, but like me, they had never learned it as they were growing up. I'd already done a course, and I also knew some people that might be able to help us set that up if they really did want to learn. When I got back to work, my Team Leader Pete Brown and my team asked about the programme and it came up again how we wanted to all learn Te reo Māori. Other people, including Pete, were interested as well, and asked if it was something we could actually set up at Downer, in our depot. I went along and spoke to the co-ordinators at Te Wānanga o Aotearoa and they were really happy to help us get this started. At our depot we just went around the yard and asked if people were interested, and we ended up registering 23 people. They range from Telco, Water, Construction, Traffic Servicing, the Road marking guys and Road Science as well. We have got a mixture of everybody from all the different departments - Managers and Crew and Supervisors - everyone. We've noticed so far, because we are all from different departments, we've gotten closer together, we talk a lot more together and share stories - we all greet each other in Māori every morning now. We are learning from each other. I know that for me personally, I grew up where we weren't allowed to speak the language - I felt like I had kind of missed out. Then when you go back to your marae you can almost kind of feel out of place because you can't speak it, and you watch the younger generations, and they can speak it. For me, it was a personal goal to stand up at the marae and be able to speak Māori. I think that for a lot of the group, they had wanted to learn Māori for a while. There are guys in a similar situation to me, and now their kids are learning to speak Māori. It's a bit hard when your children come home from school and want to speak Māori to you but you don't know what they are talking about. I also noticed it when we go to the marae as part of the MLP - you've got no idea what they are talking about as they calling you on to the marae in Māori, but you want to know. It's good to know. We are taking the Te Reo Māori Level 2 course, it's a 36 week programme. The fee is funded so it is free, and they come on to our Depot to teach us. We've got all the resources, all the books, DVDs and CDs to help you with the pronunciation. We do it for three hours every Monday. It starts at the very basic level so even if you know absolutely nothing, it's great. I really think this course is great for the language, and it would be really great for other branchess around New Zealand to do the same thing. Also every week we sing a few waiata (songs), and I should point out that Northland has the best singers in New Zealand!"